At Omnitronics, we specialise in the design and manufacture of electronic solutions for Communications Management, alarm monitoring, 2 way radio interoperability and wireless communications. Our core business revolves around communications management for the two-way mobile radio market. 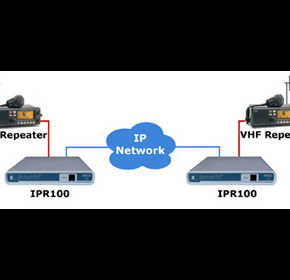 Here, we provide cost effective solutions for both the operation and management of radio networks. We are also a major player in the provision of radio-based telemetry and SCADA systems and, through partner companies, we have provided specialised control and monitoring solutions. Our product line is extensive and covers audio interfaces, radio interoperability bridges, radio management systems and telemetry. In addition, Omnitronics uses its expertise to develop products specific to customer requirements. This has resulted in the company designing then manufacturing equipment for a long list of clients, over many years. Using our custom engineering services enables you to bridge the gap between concept and manufactured product with minimum effort and ensures that your products are introduced into the marketplace on time and on budget. Since the company’s inception in 1981, Omnitronics has developed into a market leader and today is recognised as one of Australia's Top 100 Electronics companies, boasting a wide network of resellers and partners. Our client list is derived from a broad spectrum of markets including emergency services, oil and gas exploration, mining, utilities, telecommunications and transport companies. To service such a diverse client base, Omnitronics has forged alliances with many businesses that specialise in these markets. This ensures that we provide the right solutions and allows us to gather the feedback necessary to continuously improve our product line. Omnitronics has an enviable track record, having been in business for twenty five years. We have been at the forefront of many new innovations in the past. Examples include the application of Ultra Sonics for rail flaw detection, IR lasers for interactive laser gun entertainment, microwave radar for collision detection and mobile data systems for dispatch. We understand that the need to bring a product to market quickly can not compromise its reliability or functionality. And we also know what it’s like to be on site, under pressure to interface equipment together and needing immediate support. That’s why we have assembled an exceptional team of software and hardware engineers to ensure that the company achieves excellence in product design and reliability. And our willingness and ability to support our customer base in a timely fashion is a key principle of the Omnitronics culture. Make use of your existing IP network to replace the leased lines currently used to connect your radio communications infrastructure.